This is the year where things in our family as far as adventuring really starts to change. J is simply just outgrowing the avenues we had to get out as a family (and go as far and as long as we wanted….within reason, of course.) We’re in the process of testing and exploring some new gear for kids that just don’t fit in backpacks and/or trailers anymore. The good news is that gear IS out there and companies are responding to a need for outdoor families in the middle of those “shoulder” years. Enter the Weehoo iGo Pro (“Pro” because it is the 2012 model – lighter, tougher, and completely removable seat.) It’s one company’s ingenious solution to helping families get out on longer bike rides with kids actively engaged. It’s like a “Trail-A-Bike” that is towed behind an adult’s bike, but much safer, more adjustable (allowing for younger riders) and something I trust enough to put my kids on. 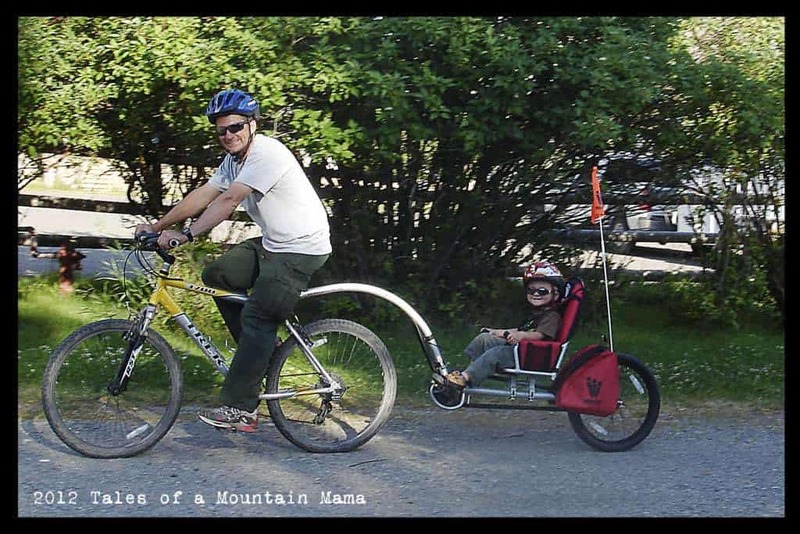 – The freedom to continue biking as a family when kids get too big for traditional bike trailers. – The child sits in a recumbent position low to the ground meaning their center of gravity is also lower and their ride is smooth and comfortable. – 3-point harness system keeps kids safely in the seat (and it’s padded so they remain comfortable.) Seat easily adjusts forward or backward to accommodate for shorter or longer legs. – Seat can be completely removed for more stream-lined storage. – Storage in pannier-like bags is ample enough for snacks and some extra jackets. Mesh cup holders on both sides of the seat come in handy for kid riders. – Can be awkward to hitch until you get the hang of it. 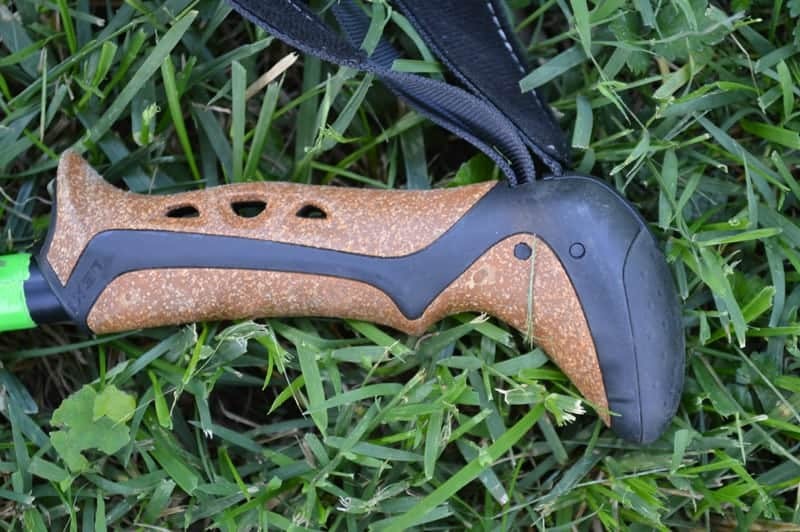 – Pedal strap concept is great, the straps themselves need a little work. We found that J’s feet would often slip out of them at the beginning of a ride and need adjusted back in. Straps that are more adjustable for smaller feet/different shoes would be very helpful. – While I know they are working on this, I would LOVE to see a Weehoo that could hold two kids. When it is just me at home, I have been putting P in the Boba on my back (though not highly recommended – do this at your own risk!) and riding with J in the Weehoo. At this point, you have to have enough adults pulling to make it work with the amount of kids you have. – Canopy accessory available (sold separately) to protect from the sun. Yes, the price tag is steep, but the freedom the Weehoo iGo Pro provides is worth it if you use it often. It opens up the potential to commute with much older kids (think dropping them off to school, daycare, etc.) and longer family bike rides. We are starting to see them all over Yellowstone as families need solutions for larger kids and longer rides. **They have an engaging Facebook Page too with lots of die-hard fans (and great conversation/tips! )** Weeeeehooooooo!!!!!! *Guest Post* The Importance of Trekking Poles! Hi Lauren – yea! I think it would be perfect for you guys. I was just thinking today that I honestly would just go with the one-seater anyway because once you get TWO bigger kids back there, you are hauling a TON of weight! At least if you have two singles you can spread it out a bit between you and the hubby?? I was way excited to hear about this trailer bike unit for our daughter when you previewed it a while back. When we went biking hiking and camp up in Door County WI we were using a different style unit that made our daughter so nervous being in. She just doesn’t seem to be big enough to pull herself back up when slipping to on side or the other. I wonder if an REI or other retailer would allow you to test drive the unit before making such a large purchase. With our daughter being such a peanut I already had to get a special order bike helmet for her and know that we would get great use out of this with the ages of the older boys! Then to top it off I read the info from Lauren (comment) and should totally recommend this to my friend for her daughter with Mitochondrial Disease. SHE WOULD LOVE THIS! Laura – I am not sure about places to rent Weehoos in your area, but (and maybe this isn’t kosher to say….) but REI does have an excellent return policy… :/ But yes, HUGE purchase. But, if you are going to continue to bike a bunch, worth it! I’ll let you know if I hear of anything! 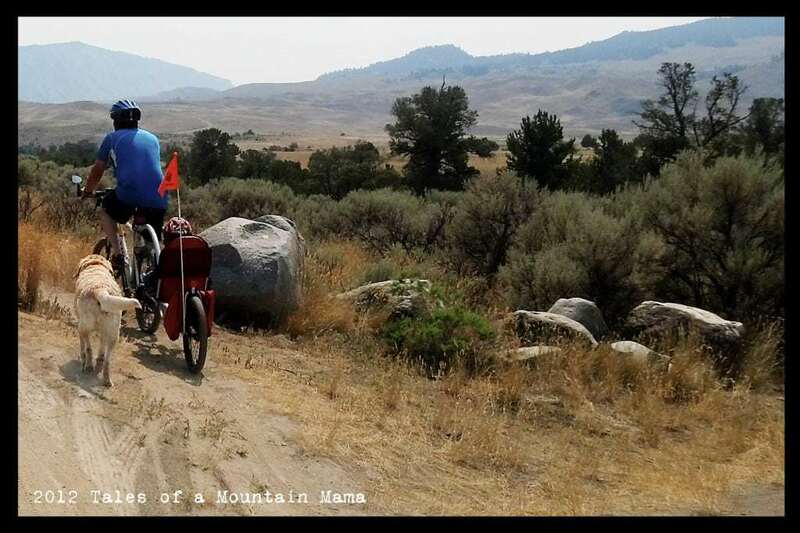 I am sure by now you have made your choice by now, but for those looking into it purchasing this item…… .We were just at the REI and they told us that if we wanted to try it on our bike we could just bring in our bike and try it out at the store. Thank you so much for such a clear and full review on this trailer! I have been thinking about getting it, but wasn’t sure if it was worth the expense. I bike my 4 year old daughter to and from school every day. She is rapidly outgrowing our classic trailer. This looks wonderful and exactly what I need. You video was very helpful. Thank you again! Great review! I’m seriously thinking on buying one. I just have one question for you. What about the risks of a stone lifted by your mtb hitting your child? It’s the only reason it had kept me from buying on. Please share your experiences. Great concern. There is a “mud flap/rock guard” on the back stem of the Weehoo (between your bike and their seat) to help prevent any accidents. Mtn Papa has taken ours on trails, rocks, and in snow and had no problems. That said, we try to have the kids wear eye protection and ALWAYS helmets whenever they are on a bike (and this is no exception.) Does that help? I think they are AWESOME and highly recommend them! Psst – just saw that their new model that holds 2 kids is coming very soon too! I love your review! I have been eyeing this for my 3 year old who has special needs. She can sit independently but can’t walk or bike. Would you feel this is a safe option for her? We can’t do a traditional bike trailer because she falls over from the lack of support in the seat and I don’t like that I can’t fully see her or that she can’t fully see me. This seems like a nice option for her. Let me know your thoughts. I live in a smaller city that has about a 7 mile peninsula here in Erie, PA. I have a 3 1/2 year old as well and she is very adventurous, yet doesn’t last long on for a bike ride, but enjoys it. I desire to go around our peninsula this summer and have been deeply considering purchasing this Weehoo. I am nervous about it being stolen to be honest. Have you ever locked your bike up with it on to go to a restaurant or store, or even a park? Has anything come up for anyone? I have not seen one in my area so you can see my concern. The other thing, is going on trips, how do you transport it. Like somewhere 2 or 3 hours away? Has anyone brought it on a trailer or bike rack for a vehicle or just take it off? Sounds like the Weehoo would be perfect for what you need. You could definitely secure it by chaining it up, but may need a separate lock just because of the span between the weehoo and your bike. As far as transporting it – the bar that holds it on your bike does come off so it can easily go in a car. You would definitely need to take it off your bike for transport. We just got our’s off of Craigslist it is a 2 person one!! It was missing a few parts and I called up Weehoo and they were super awesome, sent us the parts for free! Looks like they have had a few improvements over the years. Ride on! OH awesome!!! What a score!! !